Alright, so you've realized that your humble wedding, party, business project, concert, or other event has gathered quite the crowd! First off, congratulations on your marriage, birthday, merger, or that song that is totally not about your ex-girlfriend. Whatever the case, you've obviously done something impressive enough that people want to come out and stand outside for hours to watch you do it. 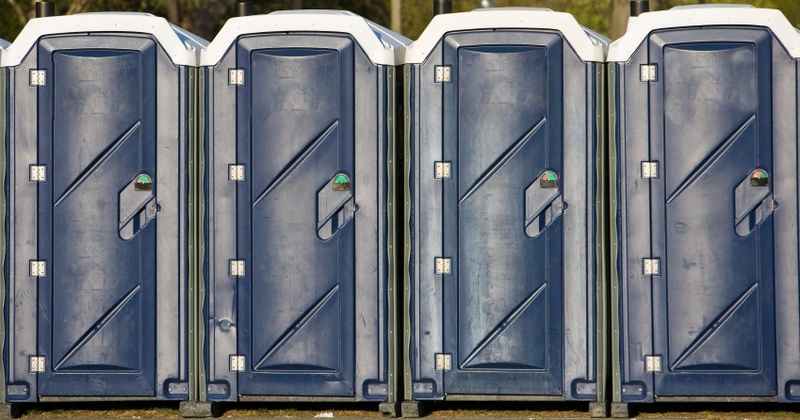 Porta potties are disinfected, pressure-washed, and restocked regularly. Yes, they probably wouldn't hold up to your mother's inspection after a few days outside a rugby pitch, but they are definitely maintained. Just remember to follow basic sanitation rules: be cautious what you touch, remember to use hand sanitizer, and don't put anything on the floor except the sole of your shoes. While it's important that everyone is happy and able to relieve themselves, it's also important that everyone is courteous. Put signs up near your porta potties advising users to report any problems with the facilities. What is the Blue Stuff? How Do I Organize Them? 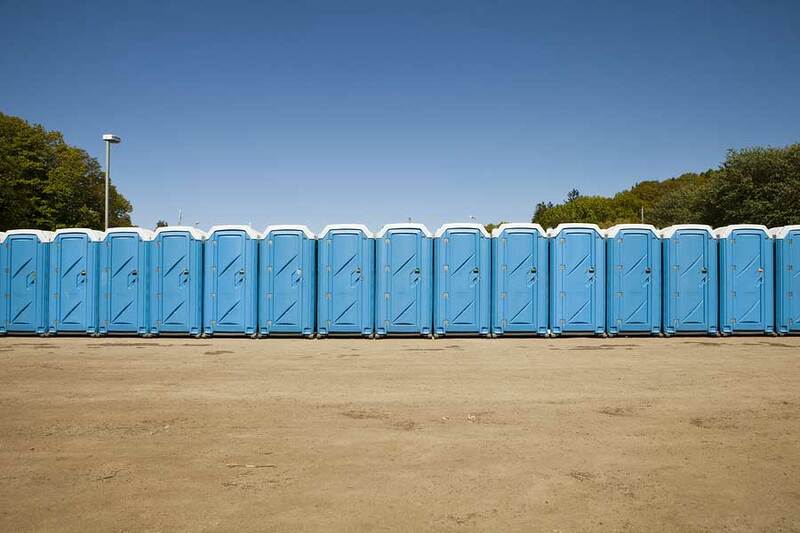 Although you might be constrained by space concerns, there is actually a recommended way to organize porta potties. Industry professionals suggest a U-shaped set up. This allows needy users to survey the entire line easily and choose one that is free. Also, this discourages the one line per unit, which can slow down the process if someone is taking an unusually long time. If possible, don't stand them all side-to-side either. Separating the toilets into groups will help separate the crowd as well. What Do I Do if it Tips Over? Please call the portable toilet company you rented from as soon as possible. There is nothing to do but clean up the mess. Obviously, keep any pets far away. Some porta potties even come with tip prevention systems. Be sure to ask your sanitation professional about these options, especially if you're expecting a lot of wind or vandals during your rental period. If you're going to gather a lot of people outside for a long period of time, a porta potty is probably warranted. You don't want your guests leaving early to find somewhere to use the bathroom. 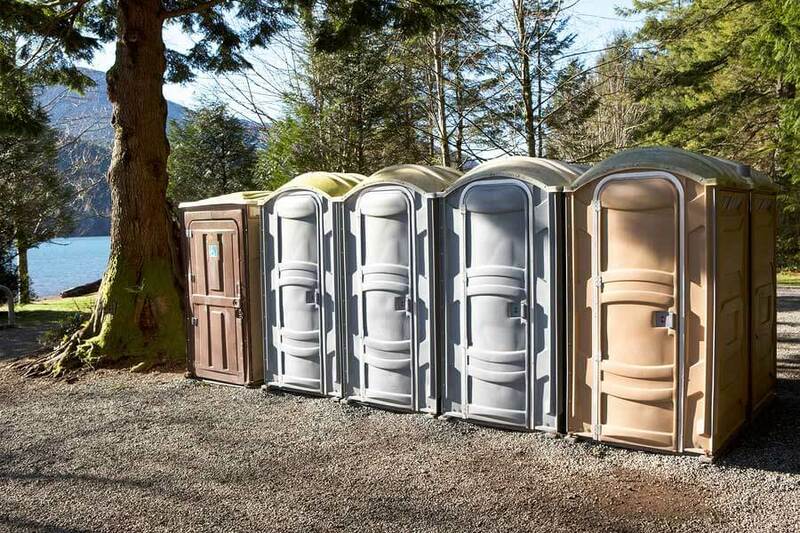 While finding a cheap porta potty rental isn't a problem, overcoming your own reservations about them might be. Hopefully, these answers helped remove the "ick" factor a little bit and will allow you to enjoy your event without worry.